Ahh behold the beauty of the thrillingly different, unapologetically loud, Urban Decay electric palette. When I opened the lid I thought I might need to run and hide - this is certainly no 'Naked' palette! But I've totally overcome my fear of bright eye colours since owning this, and have fallen in love with a new look. The electric palette is undeniably gorgeous, and even at first when I wasn't sure exactly what I'd do with it, I was still mesmerised by the colours, which bring out my rainbow loving inner child. The palette's also got a great sized mirror, and comes complete a double ended pressed pigment brush. The palette contains a collection of pressed pigments in some of Urban Decay's brightest ever shades in a mix of mattes and shimmers. Of the ten colours in the palette, eight are brand new, with only two being re-promoted favourites from past palettes (chaos and revolt). Pressed pigment is a new formula from Urban Decay, and it's been used in this palette to help create such heavily saturated, intense bright colours with a velvety finish. As you can see in the swatches, there's not a single shade in this palette which doesn't give immense colour payoff! My favourite shades in the palette are fringe (deep teal green), and urban (rich purple) and I think the only colours I'd have trouble working in to a look on myself are slowburn (hot orange red) and maybe thrash (lime), although it would combine nicely with the other greens I think. I've not tried it yet, but I've heard savage and slowburn (pink and red) can also double-up as blushers if you apply them lightly. I decided to try a bright smoky eye using urban as the main colour and also using jilted (fuchsia) through the crease and chaos (bright blue) in the inner corner. 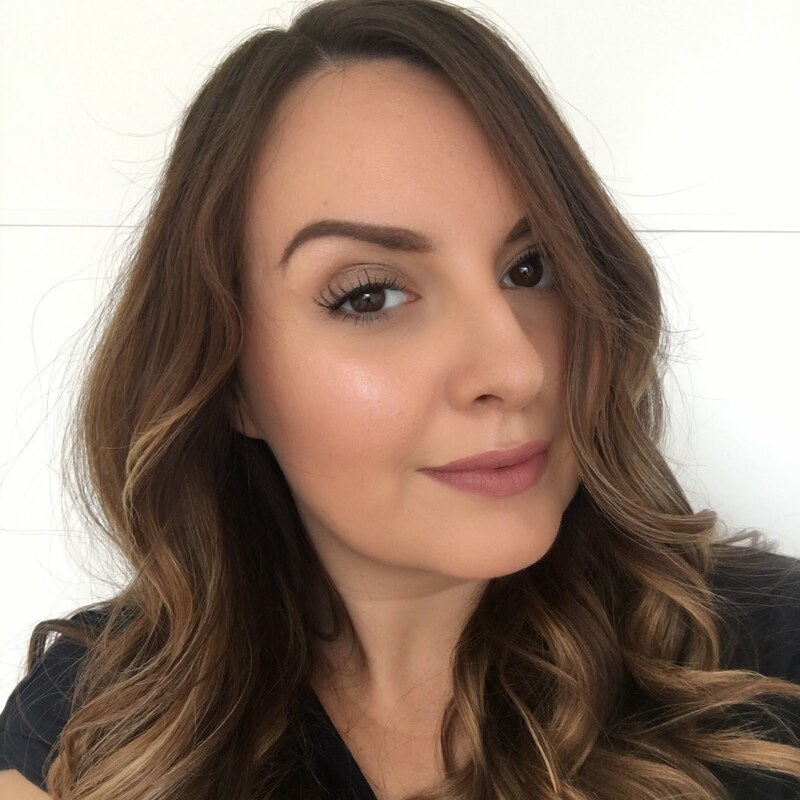 I was really quite nervous as I usually stick to very safe neutral colours, and I couldn't believe how much I like the finished look, which I topped off with Urban Decay's Ink for eyes waterproof precision liner. I really like the purple contrast with my brown eyes and would definitely wear a look like this more often now. 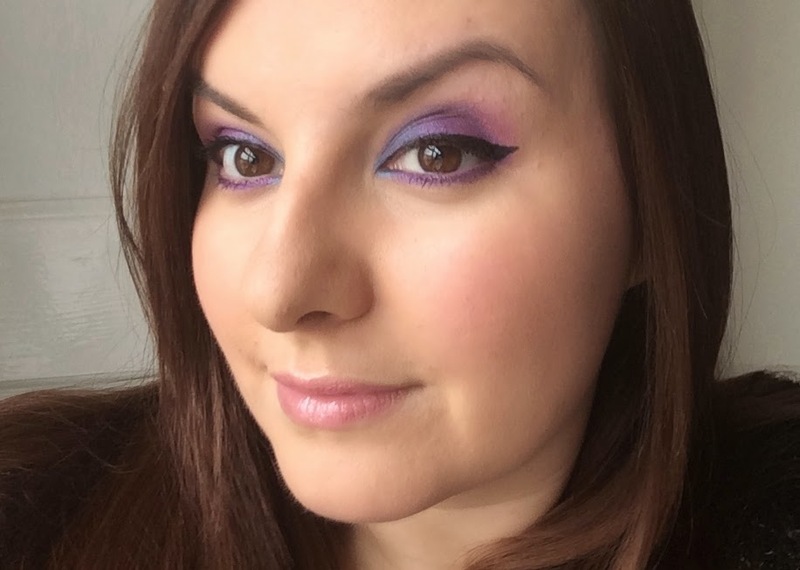 I think one of the reasons that I had more success than I expected with my purple smoky eye is that all of the colours are exceptionally easy to blend, and I'm assuming this is because of the pressed pigment formula. The lasting power is really good too - the colours stay really bright all day / night without fading. I've also used teal and gonzo wet under my bottom lash line for a flash of colour on not quite so brave days, and love the look that gives too. I'm loving getting out of my neutrals rut! The Urban Decay Electric palette costs £38 and is available now at Debenhams, House of Fraser, Feelunique and Beautybay. 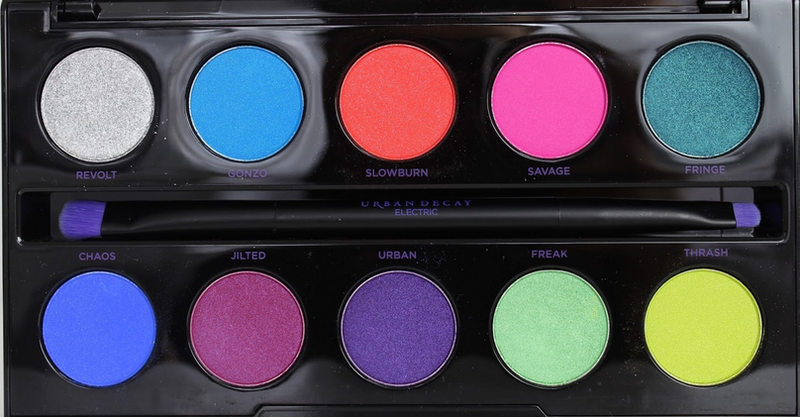 How would you wear the electric palette? I've seen this palette making the rounds on blogs and on youtube and we have the same initial reaction, run and hide. Haha these shadows couldn't get any brighter if they tried, but I surely see why MUAs would love this palette these shadows would be a great addition to their kit. Now personal I think I'll just leave this one to the professionals and stick to admiring it from a far. 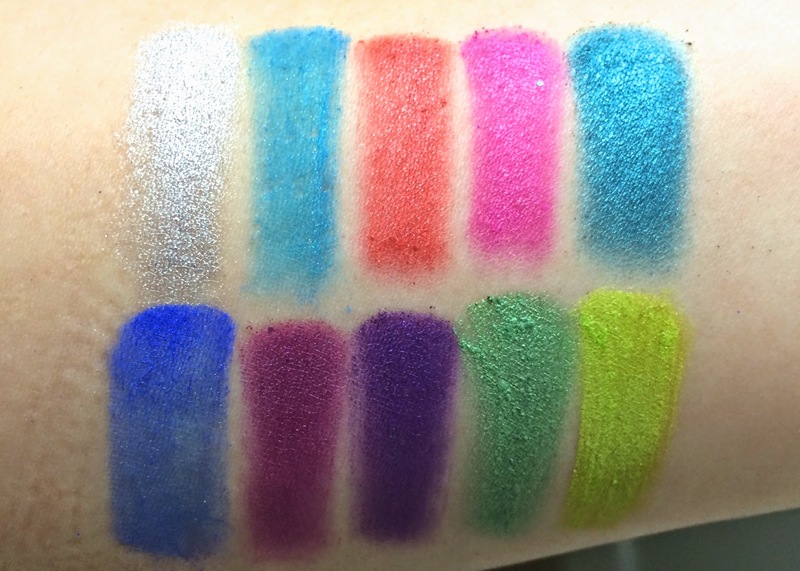 The quality looks amazing though, UD knew what they were doing working with these pigments. Btw, I am having an international beauty giveaway on my blog that I would love for you to participate, if you'd like! Wow this is such a gorgeous look. I absolutely loveeee Urban, it is so intense! I just discovered your blog and I am really loving it so far. Your eye make-up looks amazing.